Syrian actor Salim Kallas passed away at an age of 77 years, Al-Ikhbariyah Syria TV channel quoted the Ministry of Information as saying on Monday. 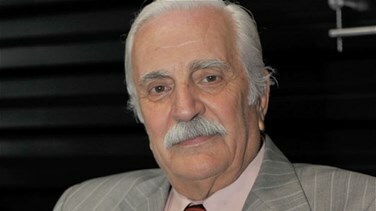 Kallas, born in Damascus, started his acting career in 1970 and played many roles in drama series and starred especially in “Bab al-Hara”, “Maraya”, “Ayyam Chamiyah”, “Beit Jdid”, and “Tahoun al-Charr”. Kallas also acted in several theatrical plays.